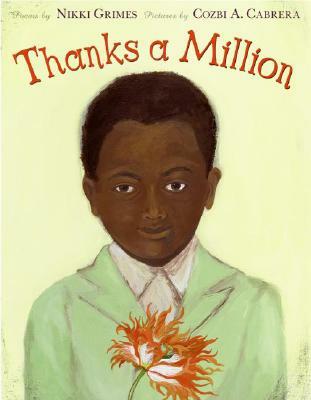 In sixteen extraordinary poems that range in form from a haiku to a rebus to a riddle, Nikki Grimes reminds us how wonderful it is to feel thankful, and how powerful a simple "thank you" can be. Cozbi A. Cabrera received a B.F.A. from Parsons School of Design. Her cloth dolls (Muñecas) have garnered the attention of collectors around the world and have been featured on the Oprah Winfrey Show. She is the illustrator of the picture book Beauty, Her Basket, which Publishers Weekly called "a quiet treasure" in a starred review. Her work is featured in her eponymous shop and atelier in Brooklyn. She lives in New York City.